No more upset tummy and pennies in my pocket!!! Quality food helps with his throwing up! Quality food my senior cats love! Multiple Cats ALL Love it. A++++++ Best cat food for my 4 girls (cats)!! Kitty has a happy tummy now. Good product, but why include dog food coupons ? Thank You ! Kitty is having good Bowel Movements ! My cat enjoys the food & looks healthy again. 3 Out Of 4 Love It! Better health & they love it. What a relief! No More Smelly Cat! Good for indoor or outdoor! My 2 cats love it . 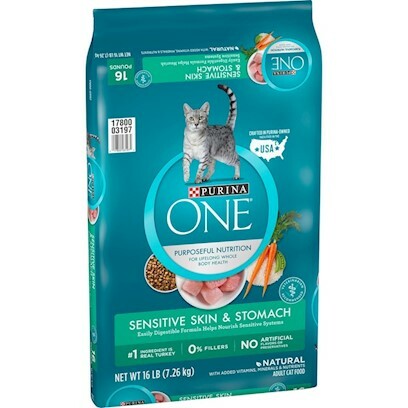 Great food for cats with sensitive systems! My cats enjoys all brands. A happier Furbaby means a happier momma! Finally my cat gained weight! Amazed, My Cats Love This Food! Isabelle did great on Purina dry cat foods.